FSDT defines Digital finance as access to electronic/digital financial services through non-traditional banking infrastructure (branches and ATMs). 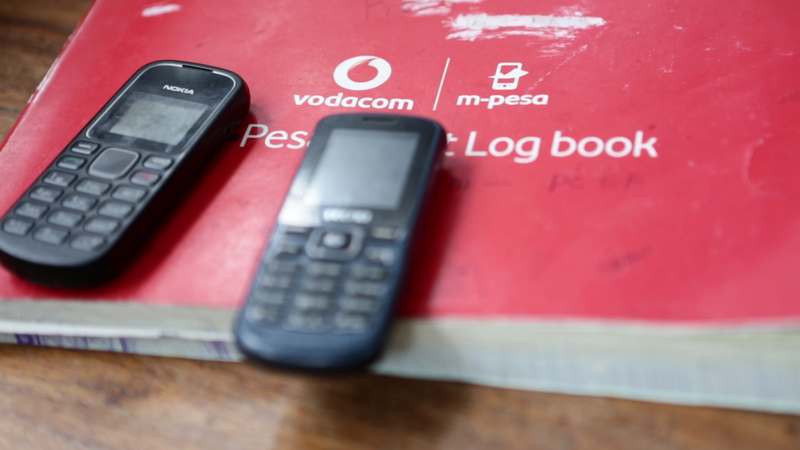 This entails the use of alternative delivery channels that are largely driven by mobile technology through mobile money and agency banking models. This theme area aims to address different market constraints through working with the regulators to create an enabling environment for mobile financial services and agency banking in Tanzania. 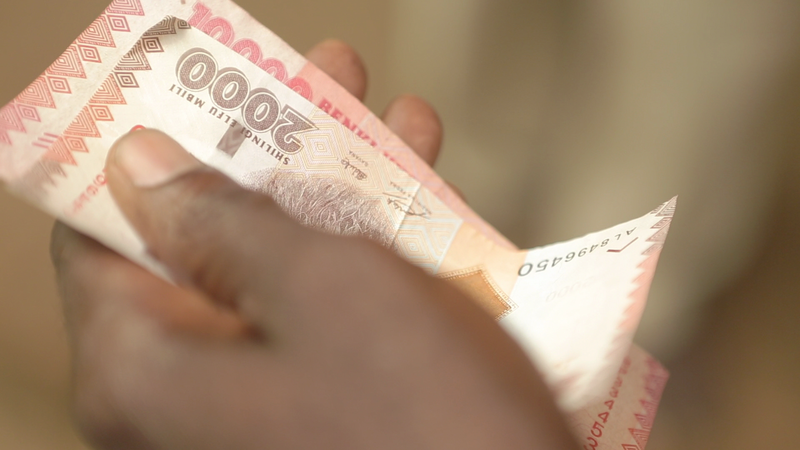 Further, in partnerships with financial institutions and Mobile Network Operators FSDT works to increase cash-outlets in Tanzania to improve the proximity of financial services to where people live and transact. To ensure that the financial services offered meet the needs of individuals and enterprises FSDT works with financial service providers through research and product development to better serve the rural unbanked. Constraints addressed: School Management System (SMS) aims to provide easier and reliable academic and financial management of schools, while improving students tracking of their own performance, and communication within the school, as well as parents’ involvement in tracking academic and financial status of their children. Objective: to potentially trigger adoptions of digital usage through fees payment, school accounting and reporting. Why FSDT is funding it: FSDT provides support to implement this innovative solution in the market that builds digital solutions to help a majority of poor men and women living in remote locations in relation to where the schools are located, and also with no formal financial providers in their locality for them to be able to pay fees through them; hence, high costs to travel to visit the banks and then back to school to send payment slips. Outcome: the project aims to improve efficiencies through automation of student registrations, fees payment and recording. This initiative will help us learn, if digitization of school financial records can help them access more and better financial products. It will also establish a platform for other financial institutions to experiment with instant school loans. Constraints addressed: The fact that Tanzania has no single national identification system makes it challenging for financial services providers (FSPs) to abide by Know-Your-Customer (KYC) regulations, as they cannot quickly and easily identify the unique identity of each customer. 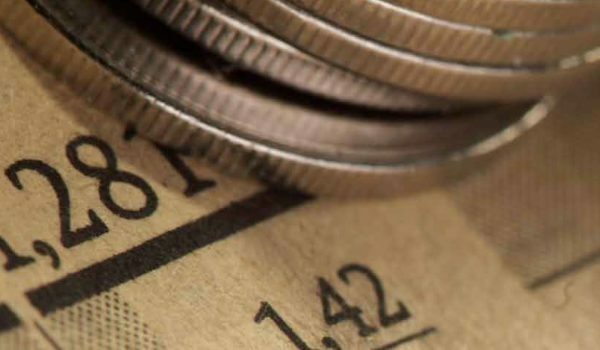 Consequently, this affects the provision of financial services as on-boarding clients becomes a burdensome, costly process that propagates the exclusion of a majority of Tanzanians, from the formal financial system. Objective: to enable the rapid rollout of National ID (NID) numbers to the entire adult population by December 31, 2016. 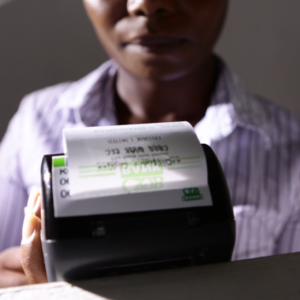 The NID database will remove information asymmetry in the Tanzania financial system, and create market efficiencies through providing a registry for financial services providers to reliably identify individuals for KYC purposes, in addition to providing a basis for credit bureaus and collateral registries. 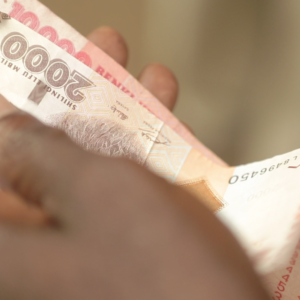 Why FSDT is funding: FSDT aims to provide support to ensure proximity of financial services to where a majority of people live and transact, by removing information asymmetry in the Tanzania financial system. This will also create market efficiencies through providing a registry that financial service providers can use to identify individuals for KYC purposes, in addition to providing a basis for credit bureaus and collateral registries. Outcome: the national identification cards will create an enabling environment for a robust inclusive financial system, which in turn allows for plugging in different use. The NID database together with the Government National Risk Assessment will support the adoption of proportionate/risk-based KYC requirements as part of a legal and regulatory framework that enables low value and low transaction limit accounts. Constraints addressed: The Merchant solution is an initiative that is expected to address merchant’s impediments through understanding the pain points, and coming up with a solution that addresses them. This will be cubed with iterations and prototypes to ensure that the solution is useful to Merchants. Objective: digitizing local businesses i.e the Merchant Solution will provide one merchant platform that will be used to accept mobile money, cards and cash, as there is no mobile money or card interoperability in Tanzania, currently. Why FSDT is financing: The solution will ensure more and better financial services will be available to meet the needs of poor urban and rural households and individuals through a credit scoring module that will be built to help both merchants and customers become credit worthy to financial institutions. Outcome: More and better financial services available to meet the needs of poor urban and rural households and individuals, through building up credit history of merchants and their customers. This will help them access services from financial service providers. Constraints addressed: Tanzania is a country that is suffering from an overwhelming deficit of affordable housing. The current Long Term Housing Finance available in Tanzania is only accessible to the very elite. Majority of poor men and women, who are financially excluded, live in remote locations with no access to formal financial providers offering mortgages. Objective: to provide low-income earners the ability to migrate from their mud huts to an affordable housing units that they can access through a mortgage from UMI enabled through digital credit scoring. The project will also provide the homeowner with a land title which they can use as collateral. Why FSDT is funding: This intervention is fully aligned to FSDT’s strategy of impacting the poor. This initiative will directly meet the financial needs of 100 poor households and potentially 500 households depending on the replication of the model. Outcome: more FSP’s to start offering mortgages for the poor men and women who don’t have access to affordable housing, and more construction companies developing interest in this market niche. This will enable clients to be served in an exemplary fashion by removing the pain points of accessing mortgage for rural areas, where majority of pro-poor don’t have any sort of collateral. FINCA intends to increase access and enhance its customer service by creating significant organizational efficiencies through an innovative Field Automation and Credit Scoring Intervention, which has the potential to revolutionize the market in Tanzania. Objective: to learn if automating client registration and using instant credit scoring technology can help improve efficiencies of MFI’s. Why FSDT is funding: to support the strategy to significantly increase access to financial services for low income customers. Outcome: The model will allow the poor men and women who are excluded to formal financial products and services to be linked instantly at their residing location, by firstly accessing a bank account at a reduced cost and reduced risk, at the same time being offered loans instantly without having to provide collateral. SCALING AGENCY BANKING – EQUITY BANK. Constraints addressed: Financial services providers currently favour urban areas, leaving rural areas grossly underserved, citing poor infrastructure, high risk and high cost of operation as culprits, given the sparse population in rural areas. Objective: Equity Bank Tanzania seeks to transform livelihoods of low income households by providing savings, loans, insurance, transfer payments, pension and investment products to enable recipients invest in better education, health, housing and nutrition for their families, while scaling up financial access for small scale enterprises and micro entrepreneurs who face severe financing constraints. This will guarantee their full participation in economic transformation of their societies, employment and wealth creation, and realisation of their full potential. Why FSDT is supporting: FSDT provides grant funding to Equity Bank to ensure product developed to better serve the rural unbanked. Outcome: Increased outreach and focus on important under-served target segments in Tanzania by making products and services affordable and accessible to target clients. This will be through the usage of centralized and highly automated technology, and the alternative business channels. particularly ATMs, mobile phones and point of sale terminals which ensure fast and controlled growth, and give easy access to services. TENA collectors are men and women at the bottom of the pyramid who collect plastic bottles and other plastic items. Objective: the project aims to develop a smartphone based solution that would allow thousands of TENA collectors to access and use a set of financial tools on a daily basis. These tools would allow them to organize and visualize their financial objectives, manage how they prefer to get paid (immediate payment versus mechanisms to create lump sums), and draw financial support from TENA and each other through loans and reciprocity (peer to peer lending). 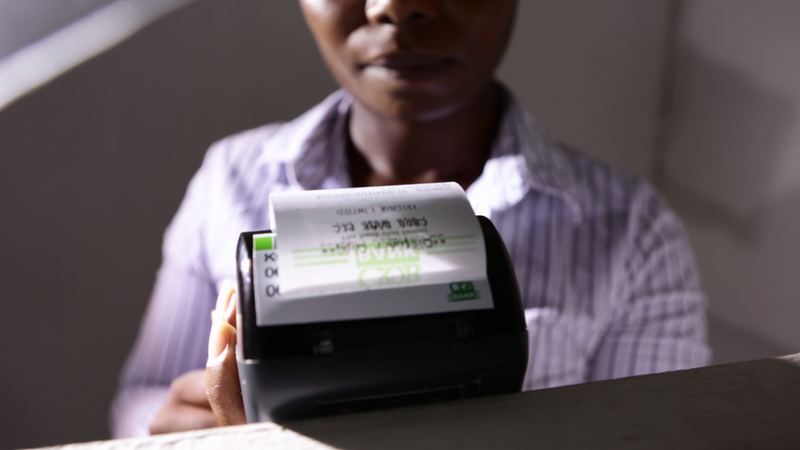 Why FSDT is supporting: FSDT works with TENA to demonstrate that financial services can be spread among unbanked populations indirectly through supplier and buyer relationships. Outcome: The majority of low income people live on unpredictable income flow. TENA provide an entry point to digital finance through supplier loans and access to the proposed smartphone solution to manage their income. Objective: The objective of the project is to increase services outreach through a blend of retail microfinance and wholesale methodologies, and build sustainable partnerships with service delivery partners in furthering services to more remote and rural areas. Why FSDT is supporting: FSDT works with CRDB through provision of loans and grants to supports this project, which will improve the financial infrastructure and provide financial access to over 2.4 million people, most of whom are currently excluded from any form of financial services. Outcome: More previously excluded people are expected to be reached after the project period, due to the established financial structures in the remote areas. FSDT aims to generate sustainable improvements in the livelihoods of poor households through providing greater access to financial services for more men, women and enterprises. Objective: Innovation Hub’s focus is to promote customer centric innovation in Tanzania, helping businesses and start-ups create products and services that respond to customers’ needs, build enabling environment for start-ups to scale, as established organizations. Outcome: to create an enabling environment in the country to foster innovation in financial services for the underserved, particularly oriented towards new ventures and start-ups. Though at an early stage conceptually, the Innovation Hub would seek to engage a variety of stakeholders, companies, academics, start-up incubators, and venture capitalists needed to spur innovation in the country. Cash based Savings Groups (SG’s) have been an effective tool for financial inclusion, helping individuals to save money, access credit from fellow SG members and a stepping stone to formal financial services. The Digital Saving Group will address the weakness of cash based SG’s like; Cash-based SG’s don’t allow saving long-term, risk of theft, and etc. Objective; In partnership with the Aga Khan Foundation, the proposed project will develop a digital solution that will channel savings group members’ savings and loans on a secure, transparent and efficient mobile platform, and report back to the members on transaction activity. Outcome; The project will enable transformation of these savings groups from traditional ways of saving to modern and digital ways which brings about transparency hence the first step towards formalization, helping residents to take up formal financial services via their digital savings groups. In Tanzania, majority of the people lack acceptable IDs, home ownership title deeds, transaction receipts, official documents and verifiable address, which makes the due diligence process by Financial Service Providers to be very difficult and expensive. 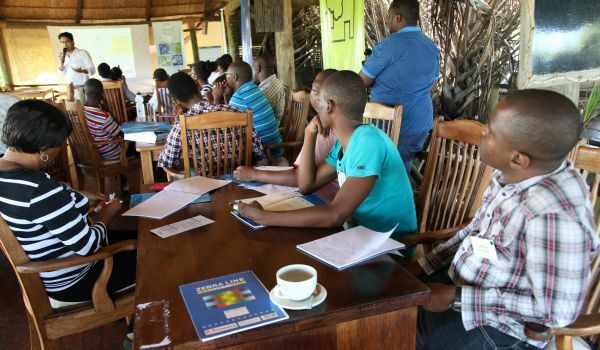 To that note, FSDT gave a grant to First Access Finance (FAF) – a social enterprise incorporated in Tanzania that aims to assist microfinance institutions reach further into the informal sector. FAF was to pilot a ccredit scoring model that uses consumer records like prepaid mobile transactions and mobile money data to evaluate credit worthiness of applicants via text message (SMS) at the point of sale. Objective; the objective was, to implement a beta testing pilot in Tanzania, to prove the predictive validity of mobile records to aid the due diligence procedure undertaken by microcredit institutions serving the informal sector. This was to try address the challenges caused by; absence of digital credit database and reports, to verify information in informal sector. Outcome; FAF was be able to; increase the efficiency of microcredit institutions to serve the informal sector and more for individual lending, by reducing the time and costs of evaluating customers before accessing the financial services. With extension of credit, and improvement of the underwriting processes, expectations were to see a trickledown effect related to change of how microfinance institutions approach customers with regards to financial products. 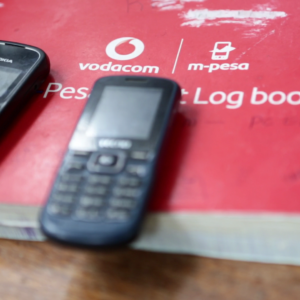 Despite the tremendous progress made on the mobile money front in recent years, there are still significant market inefficiencies. These inefficiencies hinder mobile money from; reaching a greater proportion of the population, enabling a broader range of use-cases, and fulfilling its potential to become a platform for digital financial services at scale, that address the financial inclusion challenge. Among these barriers is the fragmentation of the electronic financial services ecosystem –absence of interoperable electronic financial system, and more specifically mobile financial services-, which keeps participants (customers, businesses, governments) reliant on cash. Objective; formulate an agreed path to interoperability through the creation of a set of standards for a Mobile Financial Services scheme in Tanzania. The stakeholders included; banks, mobile network operators and the regulator.